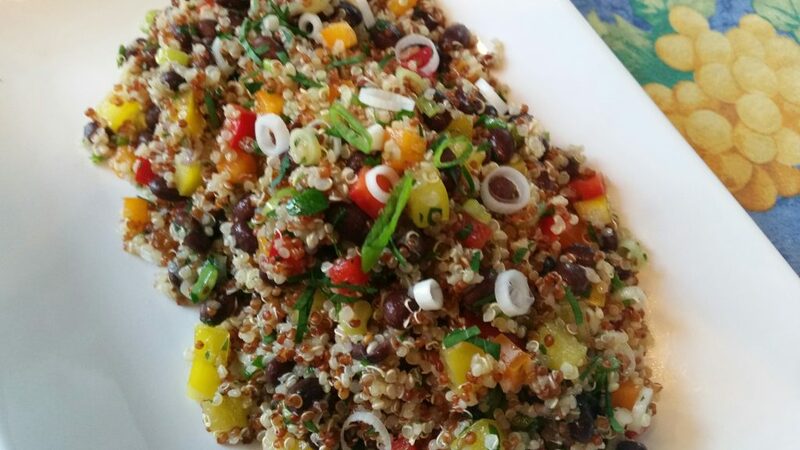 This quick and easy salad is a tasty side dish for your next cookout. 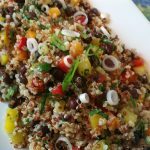 The quinoa and black beans together make a complete protein, making it a good vegan entree too. Try making this once and it and it will soon become a family staple, as it keeps well in the fridge for days, and it’s also is a delicious lunchbox option. I made this batch with a blend of white and red quinoa. Black quinoa works great in the mix too. 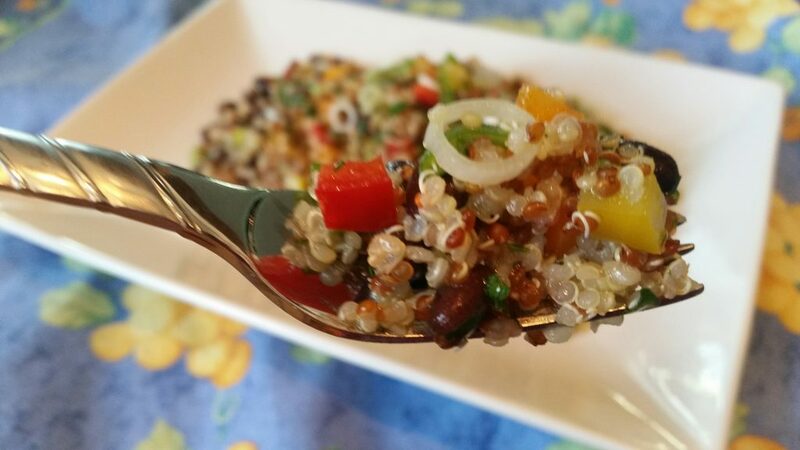 I recommend using a blend of quinoa grains for the variety of texture. 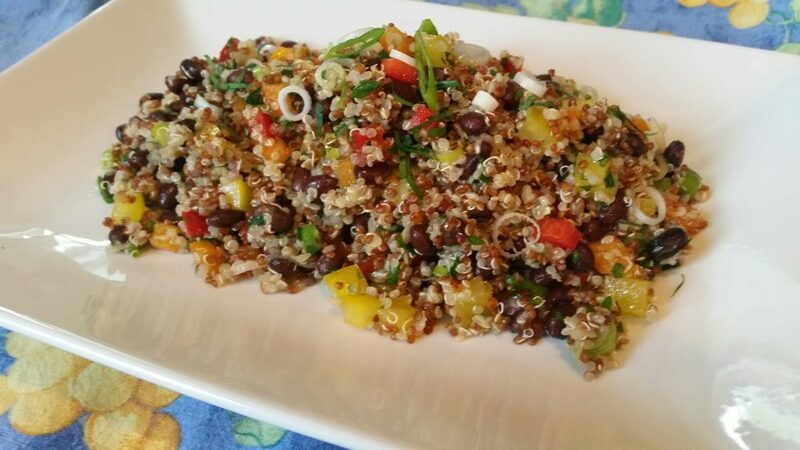 To a large bowl add the quinoa, black beans, peppers, scallions and parsley and toss to mix. To a medium mixing bowl add the lemon juice, apple cider vinegar, honey, salt and pepper and whisk to combine. As you continue whisking slowly pour in the olive oil to dressing. Pour dressing over salad and toss to combine. Keep refrigerated until ready to serve.